What are the DOT Physical Requirements for People with Sleep Apnea? In order to meet the physical requirements for a DOT medical certification, it’s important to disclose any medical problems you may be experiencing, including sleep apnea. While it may not disqualify you from becoming a commercial motor vehicle (CMV) driver, it may require a sleep test or lifestyle change to prove your eligibility. Many current and future CMV drivers are concerned about whether their sleep apnea will affect their ability to pass a DOT medical certification. Having sleep apnea itself won’t disqualify you from becoming a CMV driver, however you will have to prove that it won’t interfere with your ability to safely perform your job. If you have sleep apnea and are concerned with your ability to meet the DOT physical requirements, here are some things you can do before your official examination. Sometimes a mouthpiece, or oral appliance, can help adjust your lower jaw and tongue to keep airways open while sleeping. A Continuous Positive Airway Pressure (CPAP) is the most common treatment for moderate to severe sleep apnea. This machine utilizes a mask that either fits over your mouth and nose, or just your nose. The pressure of it gently blowing air into your throat helps to keep your airways open. The best way to determine whether your sleep apnea will affect your ability to become a CMV driver will be through a sleep test. Most certified medical professionals will ask for results or a recommendation from a sleep specialist to prove that your sleep apnea will not affect your job performance. Do you meet the physical requirements to become a CMV driver? 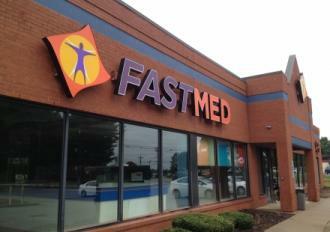 The medical professionals at FastMed Urgent Care are prepared to help you become certified. Your sleep apnea doesn’t have to affect your ability to meet the DOT physical requirements. Stop by or schedule a ZipPass Check-In today!